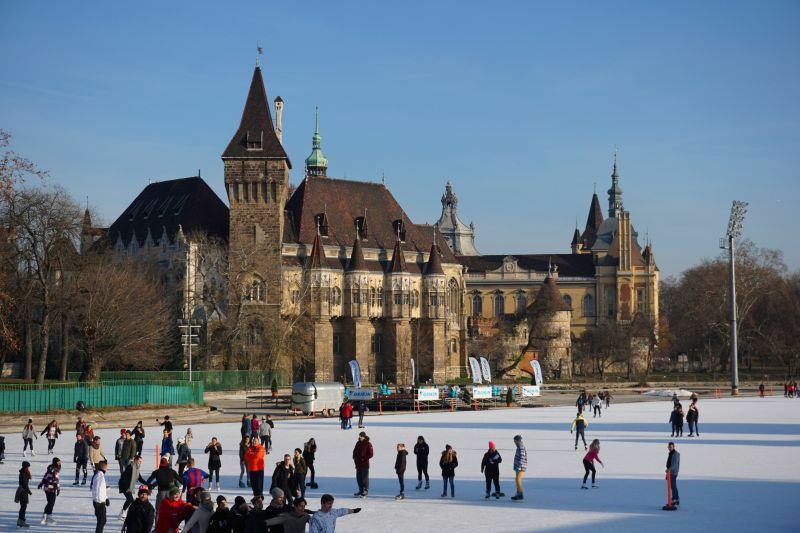 You can plan a trip to Budapest at any time of the year. 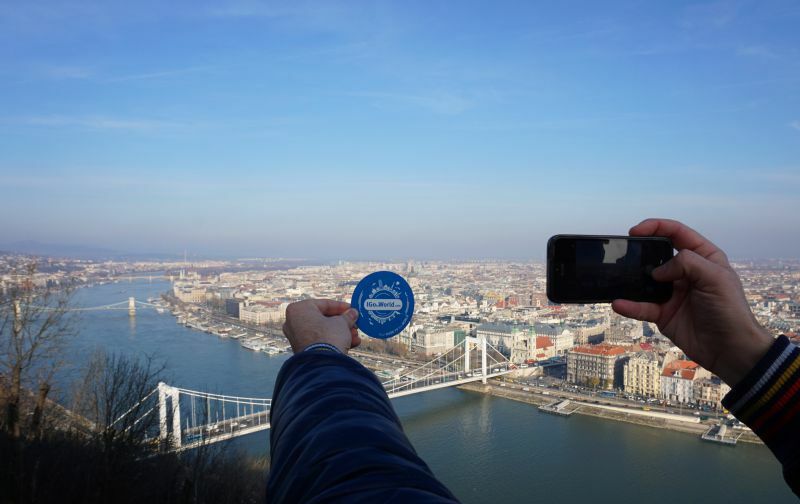 IGotoWorld team came to this conclusion after our visit to the Hungarian capital. Whether it is a charming Christmas holiday or a sunny summer, the city on the Danube will always find something to surprise you with. Moreover, it is a city for any age. The sights of Budapest are so diverse: both old and young can safely pack their bags. 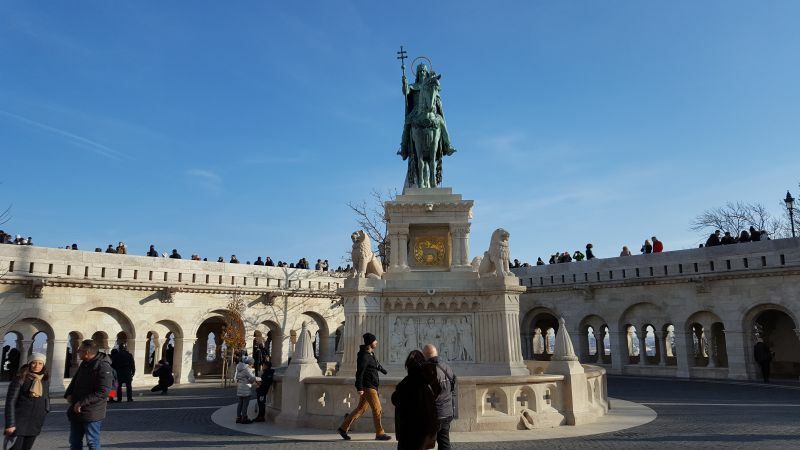 In this article we will tell you about the most interesting places in Budapest, details of the visit and, of course, our impressions. 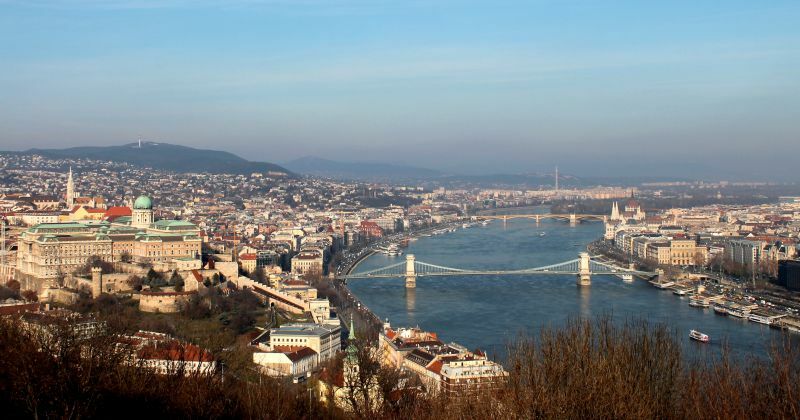 Historical information: in 1873 the three cities of Buda, Óbuda (right bank of the Danube) and Pest (left bank) merged into one city – Budapest. These three names have remained to this day – they can often be seen in tourist guide books. 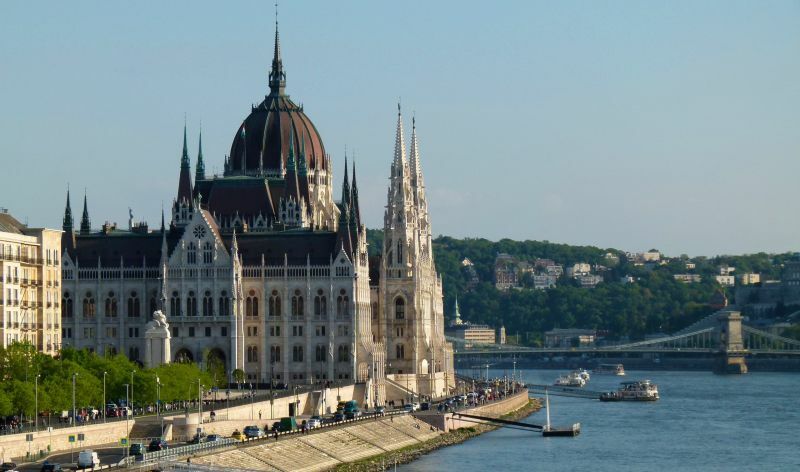 Speaking of the sights of Buda and Óbuda, we mean the right bank of Budapest. Óbuda (located north of Buda) is considered to be the oldest district of the city. Life was established here long time ago. In the 1st century AD, the Roman Empire founded the city of Aquincum. More than 100 years ago, the remains of Roman grandeur were combined into an archaeological park-museum. Here you can see the ruins of the ancient amphitheater, Roman baths, the remains of a rich patrician villa with unique frescoes and much more. The entire complex is under the protection of UNESCO. For whom it is suitable for: if you are interested in the times of the Roman Empire, archaeological museums, ancient ruins and history as a whole, be sure to check out the Aquincum. Zichy Palace and its museums. Bus routes 34, 106, 134, 923, 934. The stop is Záhony utca. Suburban train H5. It will be necessary to get off at the Aquincum or Kaszásdűl stop and walk for about 10 minutes. Cost: a full ticket in the summer costs 1,600 HUF. Entrance only to the park costs 1000 forints. The architectural complex of Buda Castle is included in the UNESCO World Heritage List, and it is well deserved. The palace and castle complex is literally stuffed with architectural monuments, one more beautiful than the other. For more than seven centuries the fortress rises on the rocky bank of the Danube. Fishermen's bastion is a building of white stone, with many towers and ladders. It was built in the beginning of the 20th century in the place of the fish market, hence its name. The panorama terrace of the bastion is a favorite tourist destination. 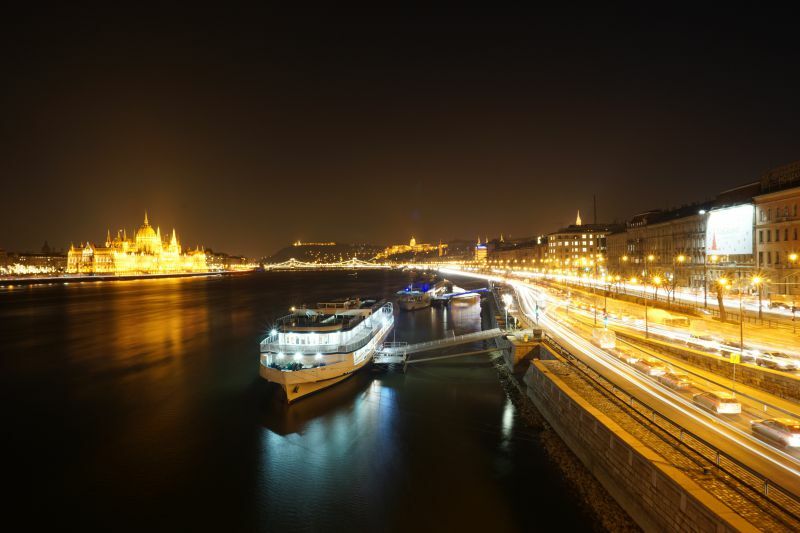 It offers a beautiful view of the Parliament building and other attractions of Pest. IGotoWorld team had one of the most impressive photo-shoots here. 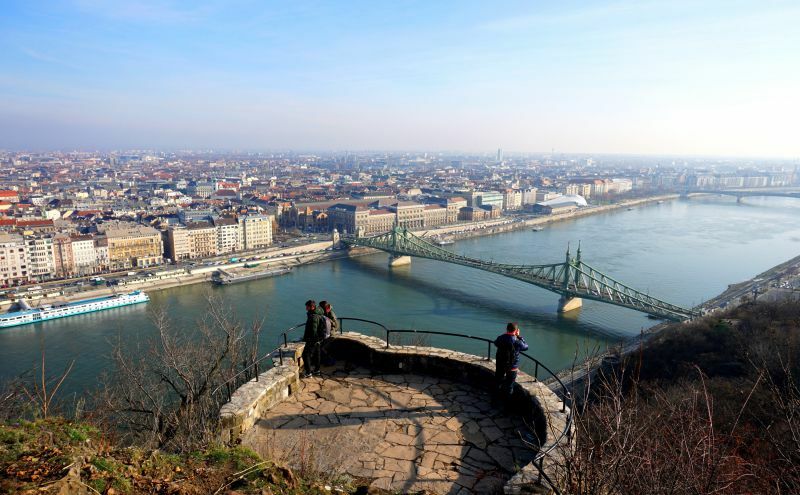 The bastion with its sights and a stunning view of Budapest will be remembered for a long time. Note: there is a fee to climb on some of the towers of the bastion – 800 forints. They are not very high and the look is almost the same, but there is an advantage: there are much fewer tourists. 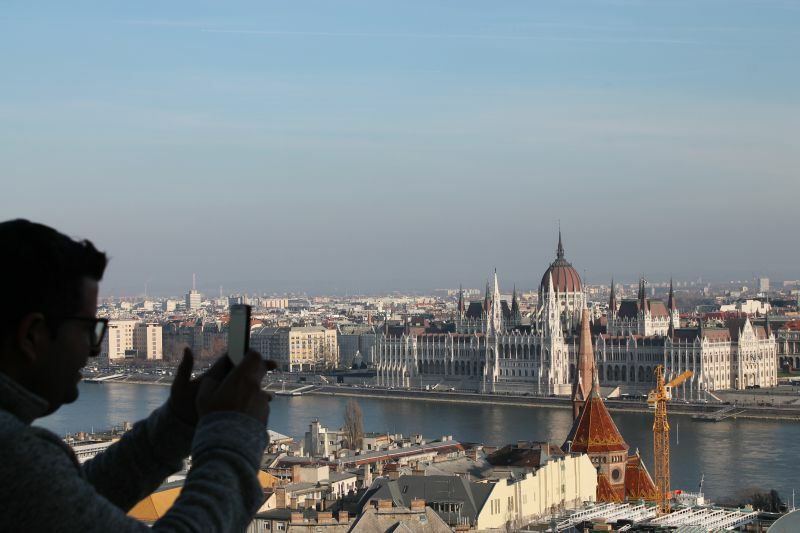 There are a lot of tourists on the territory of the bastion itself, and sometimes it is necessary to wait to make a selfie with a view of the Danube. It is better, of course, to come here early in the morning or late in the evening, when the number of tourists is smaller. 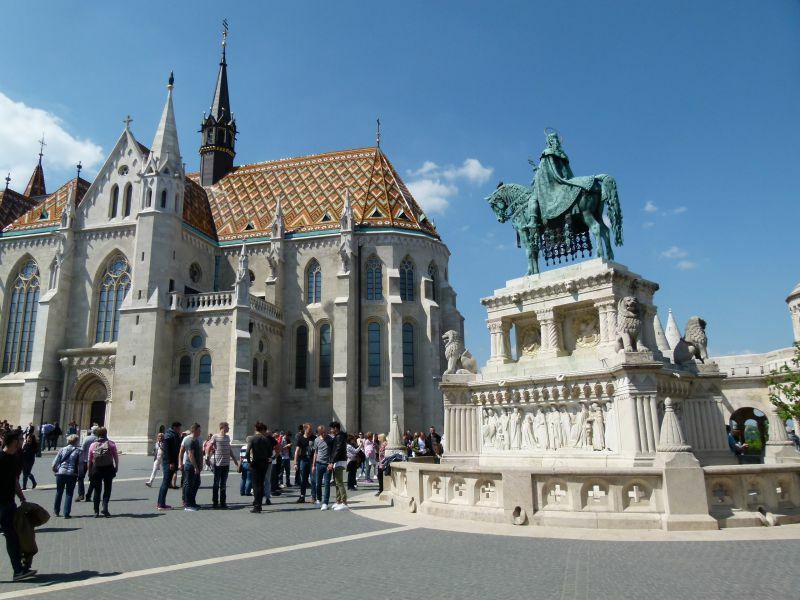 St Matthias Church, a white stone temple in the Gothic style, is one of the most beautiful and majestic in Budapest. The bright tile of Zsolnay company is particularly attracting. Located between the Fishermen's Bastion and the Holy Trinity Square. The ceremony of coronation of the last Hungarian kings took place here. Advice: you can climb the tower of the church. Even more beautiful view of the city and the entire bastion will be at your feet. Cost: 1500 HUF. If your budget is limited, probably, it is not worthwhile to climb, since the cathedral is already on the elevation and the bastion has a beautiful view of the city. Hop on hop off. This is a rather popular tourist service in Europe. 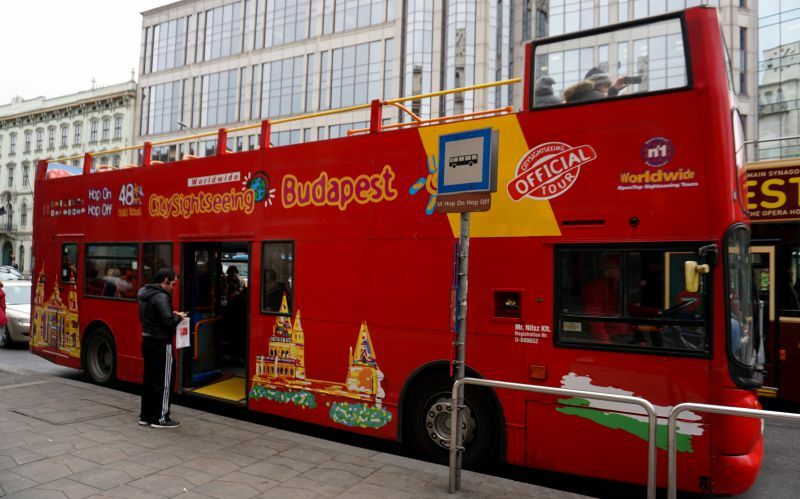 Buying a ticket for 48 hours (costs 8000 forints, children under 6 years free of charge), you can freely use the buses of seven lines, 53 stops (these are tourist places). A night route and a trip along the water is also included, as well as one walking route. For all routes and excursions there is a timetable that is given together with the card when buying a ticket. Actually, one of the stops is the Buda Castle. This is convenient if you have only a couple of days and want to see a lot in Budapest. CITYRAMA or City Tour. This is a several-hour thematic city tour in a minibus or a larger car, where the driver is very often also a guide. You are picked up where you want, and the tour begins. By the way, we used this tour. There were 7 of us in the car. The guide impressed us – everything was very sincere and interesting, with lots of pieces of advice and it was energetic, which is unusual. Time passed very quickly. The cost of such an excursion: from 5500 forints to 19000 forints, depending on the route and time. On the city bus. Routes 16, 16a, 116, 916. You need to leave at the stop Szentháromság tér. You will get out next to the Fishermen's Bastion. Funicular (leaves every 10 minutes from 7:30 to 22:00). 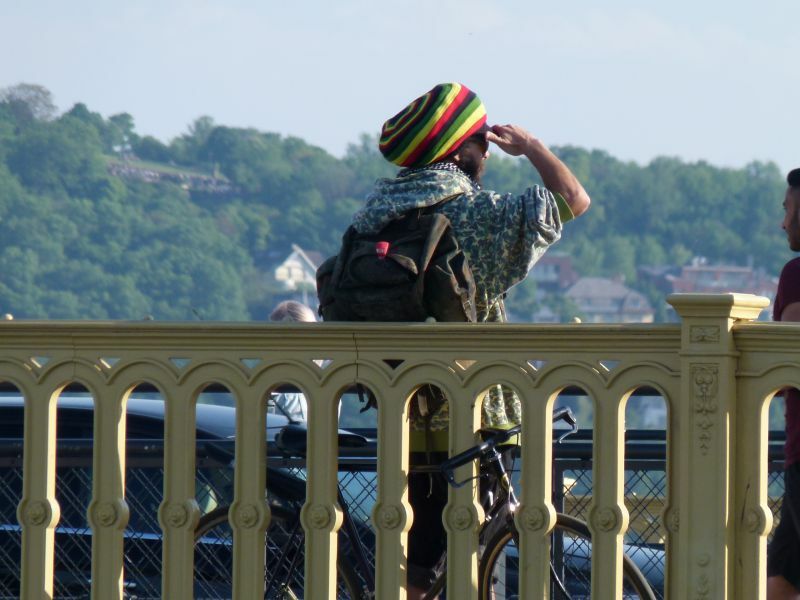 You need to focus on the chain bridge. 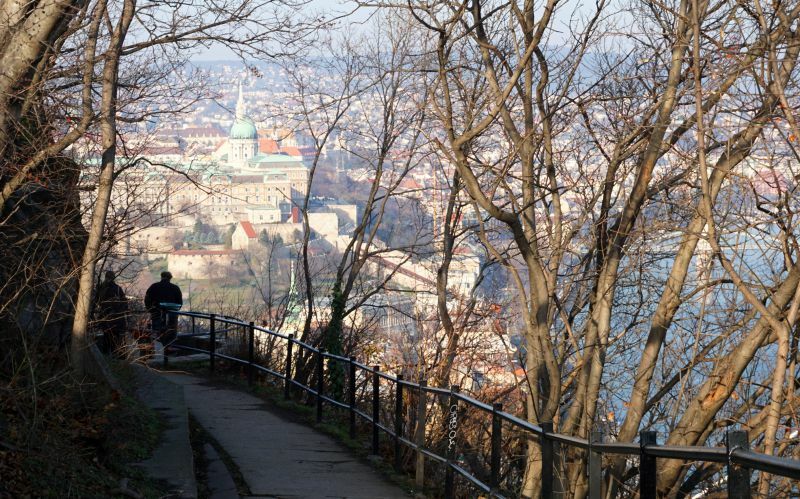 Crossing it from Pest, you will get to Clark Adam Square, where you can take the funicular and climb to the castle. Cost: 1200 forints one way, both – 1800 forints. 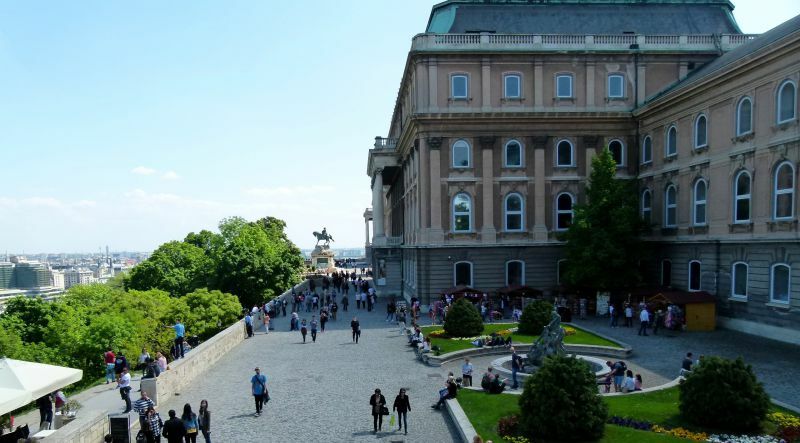 Please note: in some excursions around the Buda Castle the funicular is included in the price. Rent a bicycle. There are many rental points around the city. It is difficult to call this hill a mountain, rather, it is a hill 265 meters high. But, despite the small size, there is a lot to see. On the very hillside there is a monument of Saint Gellért, who died as a martyr at the hands of the pagans. One of the main attractions of the hill is the Citadella, built by the Habsburgs in 1854. Nearby there is a 40-meter Liberty statue – a woman with a palm branch in her hands. The sculptural composition "Buda meets Pest". Cave of St John, inside of which there is a church. The observation platforms are what we liked the most at Gellért Hill. There are several of them, and they are connected by stairs. The most cozy of them are semicircular ledges with handrails, surrounded by trees and shrubs. From different platforms you can see different parts of Budapest, especially the Danube and its bridges. 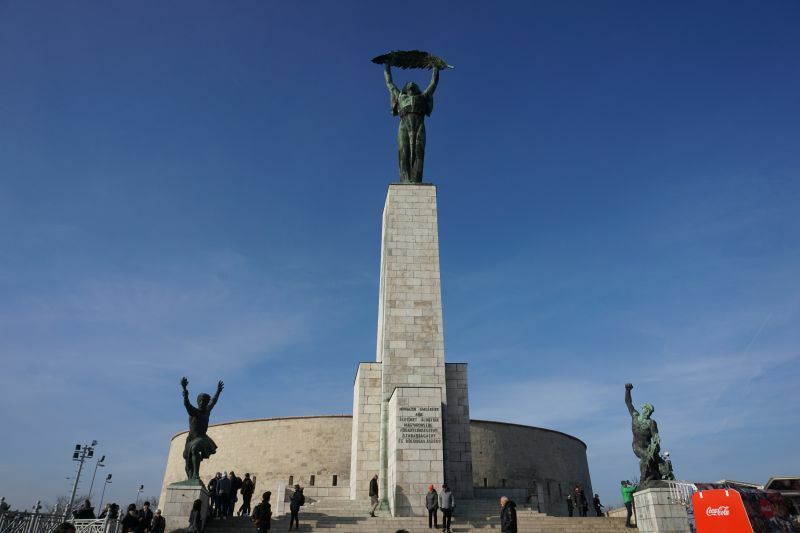 More information about the Gellért Hill and its sights can be found here. Cost: you can get to the territory of Gellért freely. You need to pay for visits to the Thermal baths and museums. Metro. Line M4. Get off at the stop Szent Gellért tér. Bus routes 7, 907, 973, 133E. Go out at Szent Gellért tér M.
Tram routes 19, 41, 47, 48, 49, 56, 56A, the stop is the same – Szent Gellért tér M.
Being in Budapest and not visiting the famous thermal baths is an unforgivable mistake. We had previously wrote about the best bathhouses in Budapest and the details of their visit. Speaking about the sights of Buda, we cannot help remembering one of the most famous bathhouses – Gellért. Built more than a hundred years ago, the thermal house does not cease to admire with its elegance and beauty. The hotel-bathhouse in the Art Nouveau style looks, as people say, "luxurious" – marble columns, stained-glass windows, mosaic floors, statues, arched gates and other attributes of luxury. And although all this pleasure is more expensive than in other bath houses, one should come here at least once. 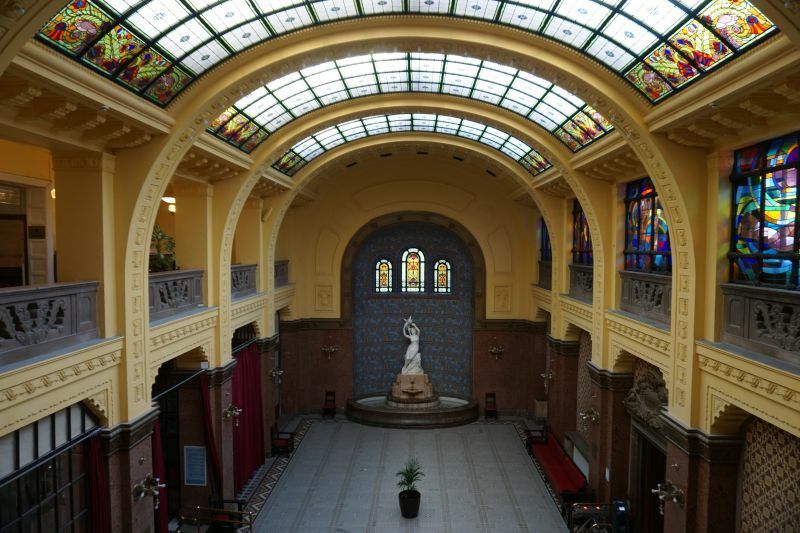 By the way, the locals recommended Gellért as one of the best baths in the city. there is a restaurant in the bathhouse. Cost: Gellért Thermal Bath is located in the hotel with the same name. The hotel guests have discounts. For tourists there is a separate entrance to the baths. Visit (general locker room) costs 5600 and 5800 forints respectively on weekdays and weekends. Visit with a personal booth – 6000 and 6200 respectively on weekdays and weekends. 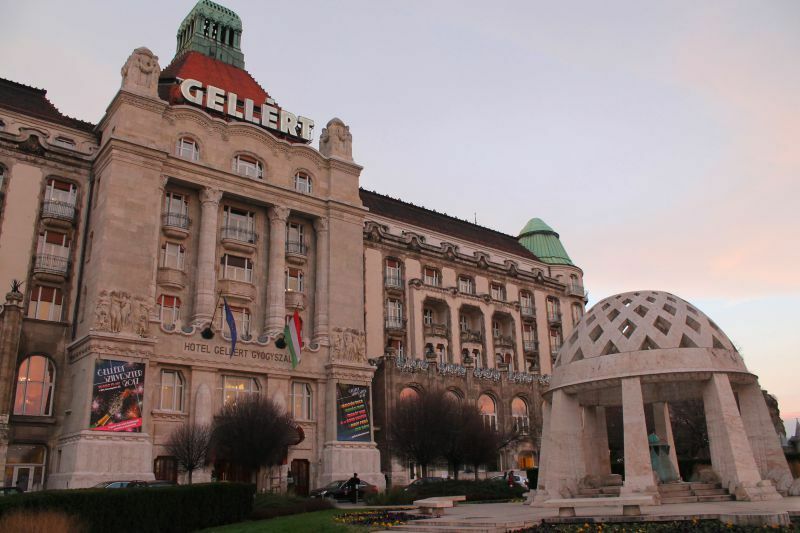 How to get there: the Gellért Bath is at the foot of the Gellért Hill. For information on how to get to the hill, see the section above. 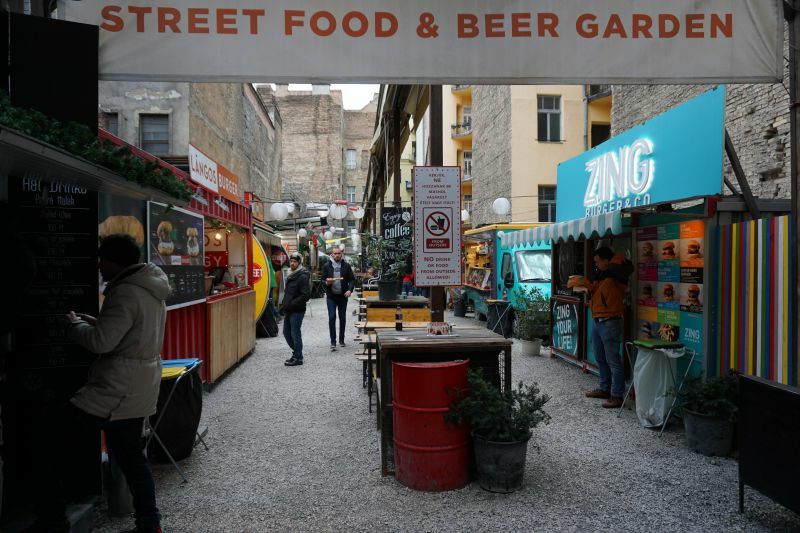 There are a lot of interesting places in the eastern part of Budapest. But there are attractions, uniqueness of which is undeniable. And the Hungarians made every effort for them to be known in the whole world. Many of the sites are included in the UNESCO World Heritage List. Pest is located on the left bank of the Danube. And although this part of the city is famous for its great business activity, architectural monuments have not gone to the background. The building of the Hungarian Parliament can rightly be called a gem of Budapest. This creation of human hands is admirable. The unification of Buda, Pest and Óbuda into a single city in 1873 served as an impetus for the erection of a new parliament building. Actually, today we see this very building. The completion date of construction is 1904. Nowadays, it is one of the largest government buildings in the world. Fishermen's Bastion, mentioned above. Parliament and the bastion are practically opposite of each other, separated by the Danube. Margaret Bridge. It connects Buda and Pest, as well as Margaret Island. It is a large transport and pedestrian bridge. From here we saw a delightful evening panorama on the Danube, the building of the Hungarian Parliament and the Buda Castle. Embankment opposite the Hungarian Parliament. From here it is convenient to take a photo of the parliament in full face. You can get here on foot through the Margaret Bridge, and then, turning left, along the embankment towards the Buda Castle. On tram № 2. It rides along the Pest embankment, with the final stop behind the parliament building. Tram drives around the building in the U form, it looks quite dynamical and beautiful. This is how we saw it on Christmas Day in 2017. 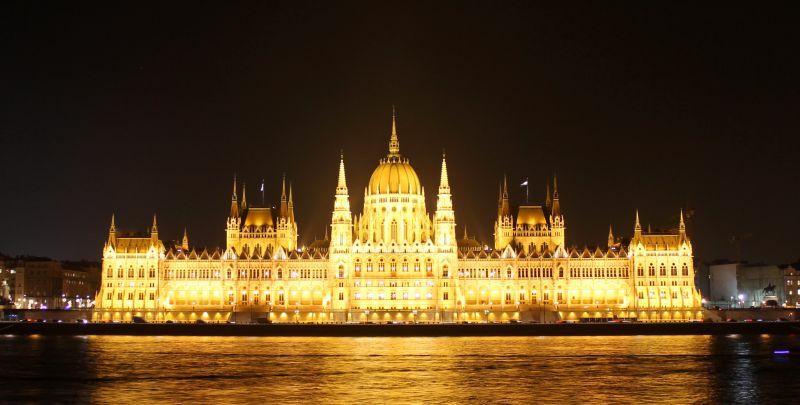 How to get there: the building of the Hungarian Parliament is on the Kossuth Lajos square. Earlier we wrote about tram № 2, which has the final stop after the Parliament. 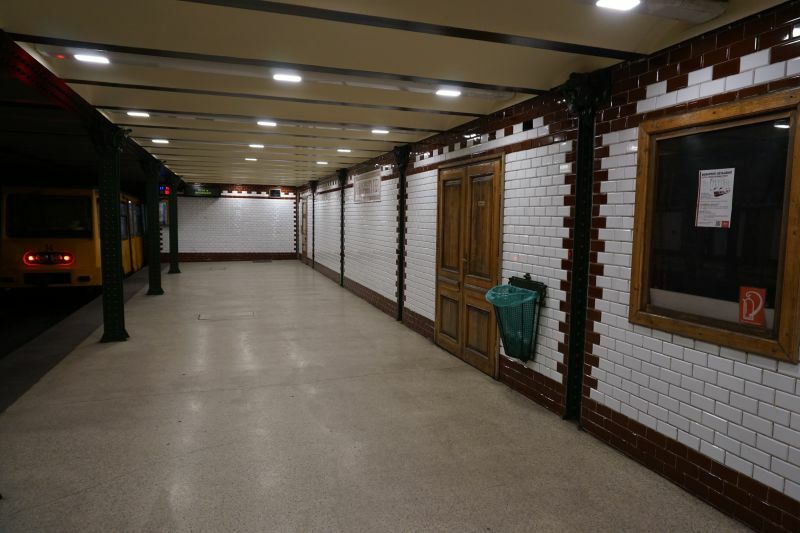 Also you can get her on the subway (branch M2) – stop Kossuth Lajos tér. Buses: № 15, 115, 70, 78 go to the stop: Kossuth Lajos tér. 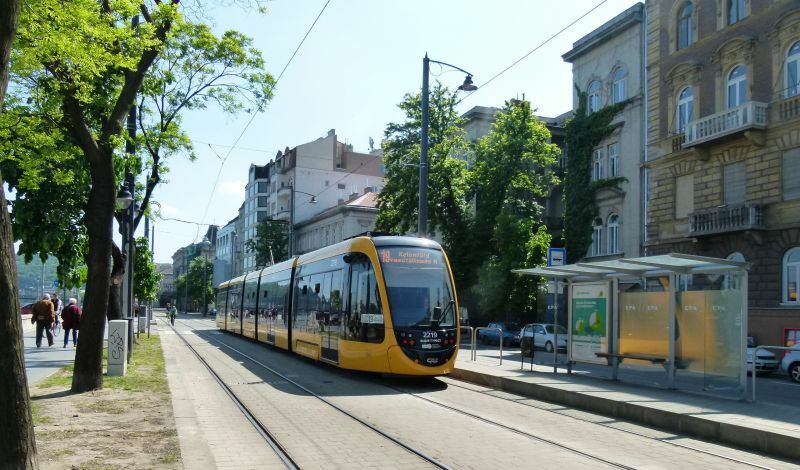 Not far there is the final stop of the tram № 2, perpendicular to the Danube (on the Margaret Bridge) go trams № 4 and 6 (stop Jászai Mari tér), as well as buses № 6 , 9, 26, 91, 191, 226, 291, 923, 931, 934 (stop Jászai Mari tér). From April 1 to October 31 – from 8:00 to 18:00. From November 1 to March 31 – from 8:00 to 16:00. During the plenary sessions of the National Assembly, it is closed for tourists. buying tickets in advance (on the official website), the cost will be slightly higher. When buying a ticket, you choose the time and language for the tour – Hungarian, English, German, French, Russian, Italian, Spanish, Hebrew. For each language there is a certain time of the excursion. There is a dress code to enter the building of the Hungarian Parliament, and at the entrance it will be necessary to pass security control. Budapest, like many cities in eastern Europe, suffered from mass executions of the Jews. The Nazis executed people directly on the bank of the Danube, while forcing them to take off their shoes. The waters of the river carried away the bodies of the deceased, and their shoes remained on the shore. To this day, the exact number of victims is unknown. Memorial to the victims of the Holocaust – shoes on the embankment – was installed in 2005, not far from the Parliament building. The author of the idea is director Ken Togai, sculptor – Gyula Power. This, perhaps, is one of the most emotional places in Budapest. 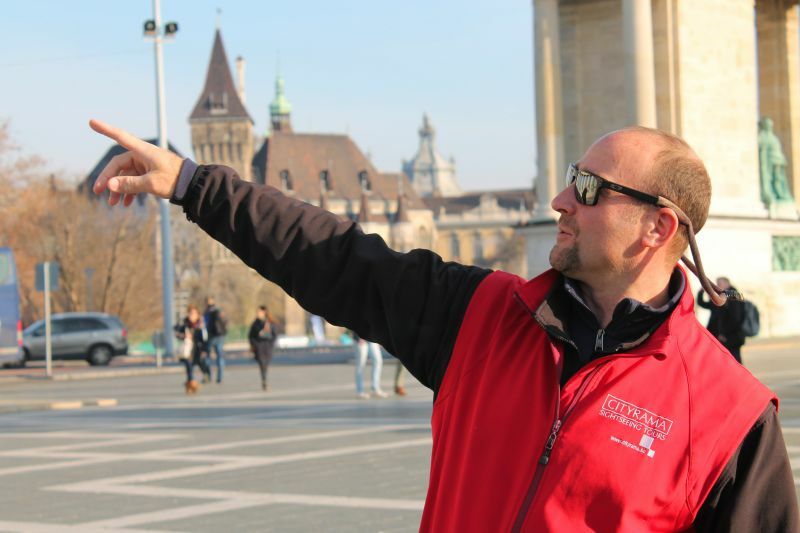 How to get there: from the building of the Hungarian Parliament go left along the embankment. It is literally a few minutes walk. The first king of Hungary – Istvan (Stephen) – made an invaluable contribution to the formation of the Hungarian statehood. People still revere him, besides the monarch was canonized. 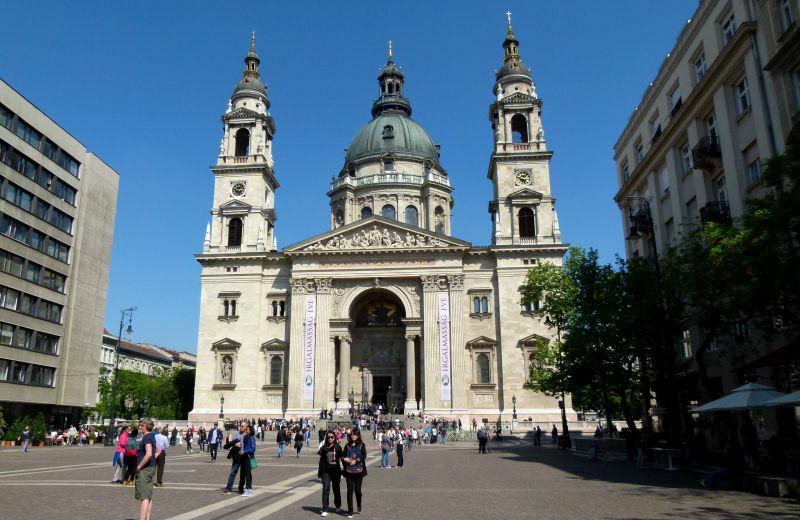 The basilica in the center of the capital bears the name of the first king of the Hungarian kingdom, also the main shrine of the temple is in here – the right hand of St Stephen. The height of the cathedral is impressive – 96 meters. For those who want to enjoy the views of Budapest, the main dome of the basilica is equipped with an observation deck – the panorama of the city is incredible. And you can observe the basilica from a height from the Ferris wheel at the neighboring Erzsébet Square. 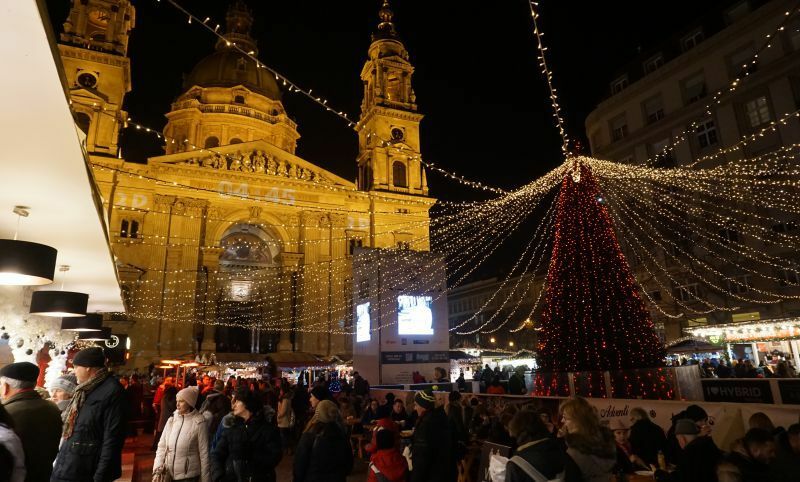 On holidays, especially at Christmas, a fair is organized on the square in front of the Basilica. During the Christmas holidays this place turns into a real fairy tale – with a tree, a skating rink, ornaments and many small stalls with street food and souvenirs. From October 1 to June 30 – from 10:00 to 16:30. From July 1 to September 30 – from 10:00 to 18:30. Adult ticket – 500 forints. Ticket for students, pensioners – 400 forints. The nearest metro stop is Bajcsy-Zsilinszky (M1 branch). The nearest bus stop is Szent István Bazilika (bus № 9, 16, 914, 914A, 931, 950). To navigate – the basilica is located opposite the chain bridge. To get to the temple, you need to move perpendicular to the waterfront along Zrínyi Street. Puppet theater and other interesting buildings. For its exquisite appearance, the avenue is called the Budapest Champs Elysées, its length is 2.5 km. With the onset of darkness, colorful illuminations make the avenue even more beautiful and romantic. Andrássy Avenue is included in the UNESCO World Heritage List. The square looks very nice, spacious and is considered to be one of the best sights of Budapest. 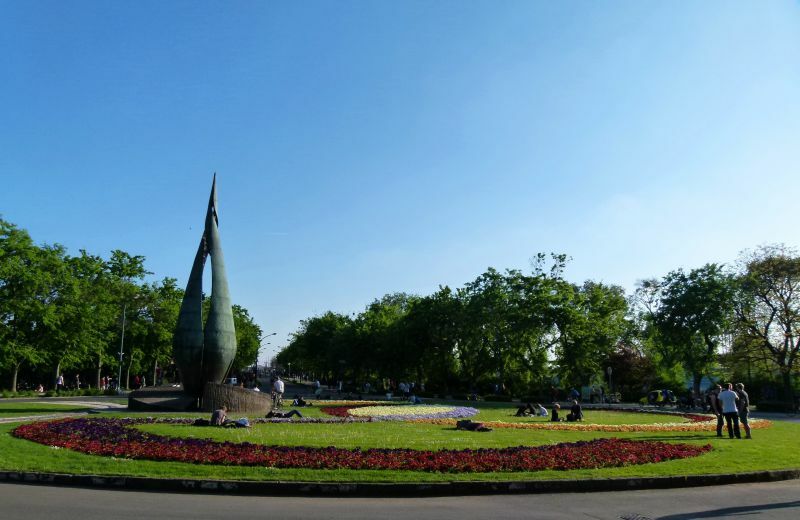 It is located on the territory of the city park Városliget. How to get there: metro station Hősök Tere (line M1). 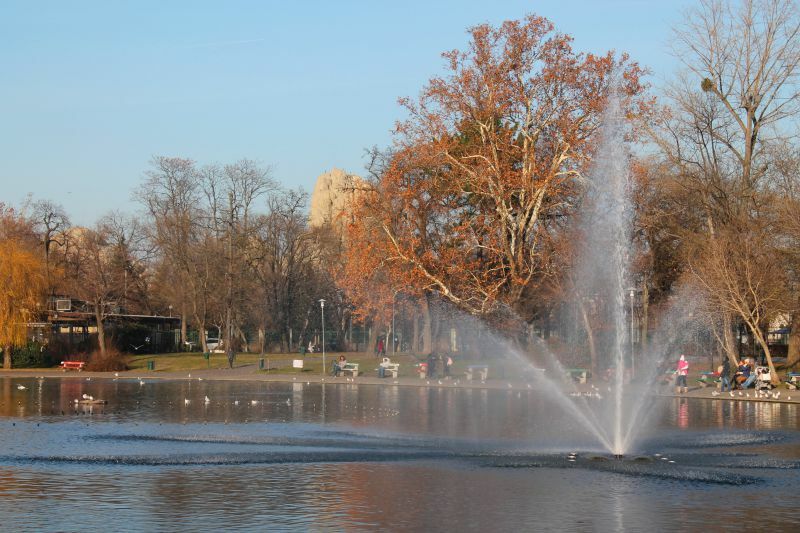 The city park Városliget is a green oasis in the center of Budapest. In addition, there are many interesting sights. Come here in the afternoon – a pleasant walk is guaranteed. One of the highlights of the park is the castle Vajdahunyad. It was built in 1896 as a wooden decoration for the celebration of the Millennium of Hungary. But later, in 1904, the building was rebuilt in stone. In one of the outbuildings of the castle there is the Museum of Hungarian Agriculture. 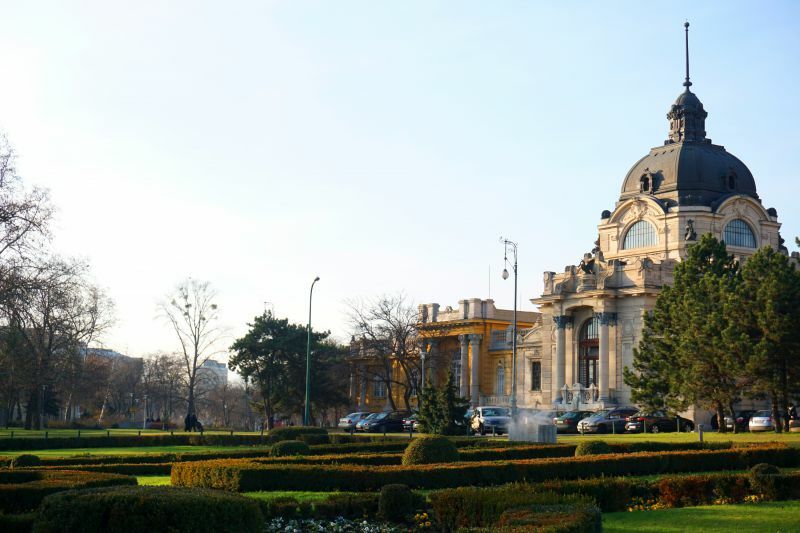 Certainly, Széchenyi bathhouse has a special place in the park. We discussed it in detail in a piece about thermal baths in Budapest. City Zoo – we wrote about it in a large photo report. Open-air skating rink (only in winter). Very close – one of the three railway stations of the city – Budapest-Nyugati. The nearest metro stations are Széchenyi fürdő (next to the Széchenyi Bathhouse) and Hősök Tere. Line M1. To the Hősök Tere stop there is a bus № 979. To the Állatkert stop (near the Museum of Fine Arts) there are trolleybuses № 72, NT, the next stop of these routes is Széchenyi fürdő (this wa you will go to the Thermal Bath and Zoo). A trolleybus № 70 also rides to another part of the park. At first the Széchenyi Thermal Bath captivated us with its appearance. This is one of the most beautiful buildings in Budapest. A beautiful architectural ensemble and, perhaps, the most popular Hungarian bathhouse. 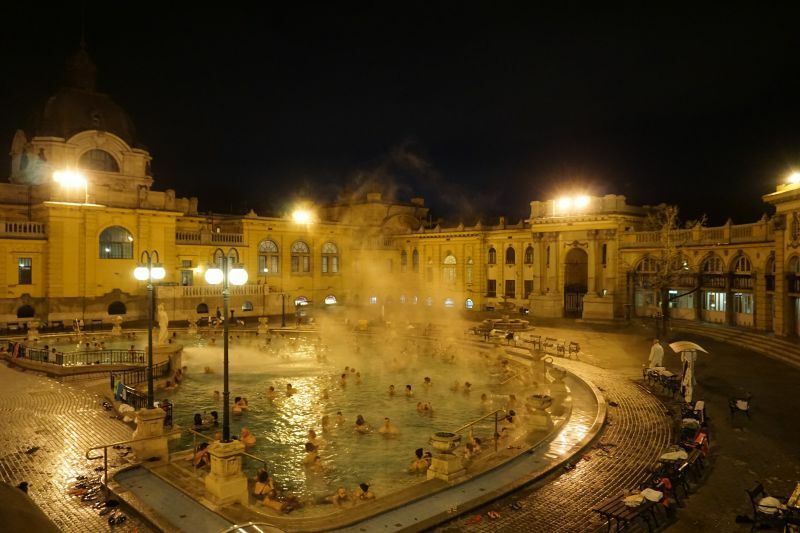 We were told to come to the Széchenyi Thermal Bath in the evening, especially as it was winter. The swimming thermal pool in the open air surpassed all of our expectations! What else can you need in the frosty days and evenings! The complex consists of 21 pools, three of which – in the open air. 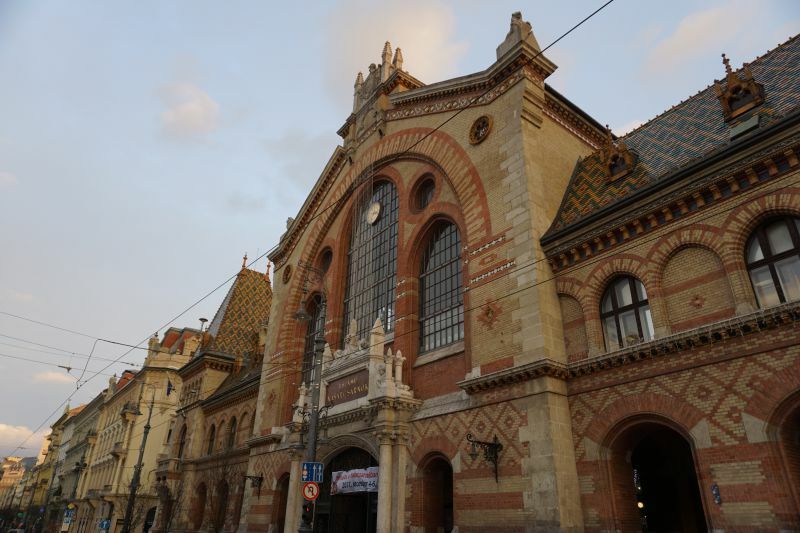 The opening of the bath was held in 1913, today it is the largest bathhouse in Budapest, as well as in Europe. More details about Széchenyi, services, prices and much more can be found in the article about the bathhouses of Budapest. Location: in the city Park Városliget. Above we have written how to get there. Váci Ut is exclusively a pedestrian zone. It starts at Vörösmarty tér, runs parallel to the Danube embankment and ends with Fővám square. This area is mainly for tourists: a lot of shops, cafés, restaurants, hotels, souvenir and antique shops – all conditions for shopaholics. Advice: it is cheaper to purchase souvenirs and products in the central covered market. In addition to being an interesting landmark, you will have the opportunity to save money. The market is at the end of Váci Avenue. You only need to go to the other side of the Fővám square. Confectionery Gerbeaud is one of the particular attractions. The interior and appearance of the establishment remained virtually unchanged. This is one of the most famous coffee houses not only in Budapest, but also in Europe. 1858 is considered the starting point of the history of a popular institution. The café is located on Vörösmarty tér, at the beginning of Váci Avenue. Ruin Pubs are a phenomena without which we cannot imagine modern Budapest. This is certainly a place for youth, but it is possible that experienced tourists will also like it. At least, it is unusual. The first ruin bar in Budapest was opened in 2001. Since then, the popularity of these institutions is growing. So, the ruin bar is a bar built "in ruins". There is a lot of old furniture, quaint decorations in the décor – here you can see many things that are unlikely to be useful in your houses. So, at the expense of the interior, the price of beverages is reduced. No wonder there are a lot of students here. Live music concerts, exhibitions, presentations, festivals and much more are held in pubs. 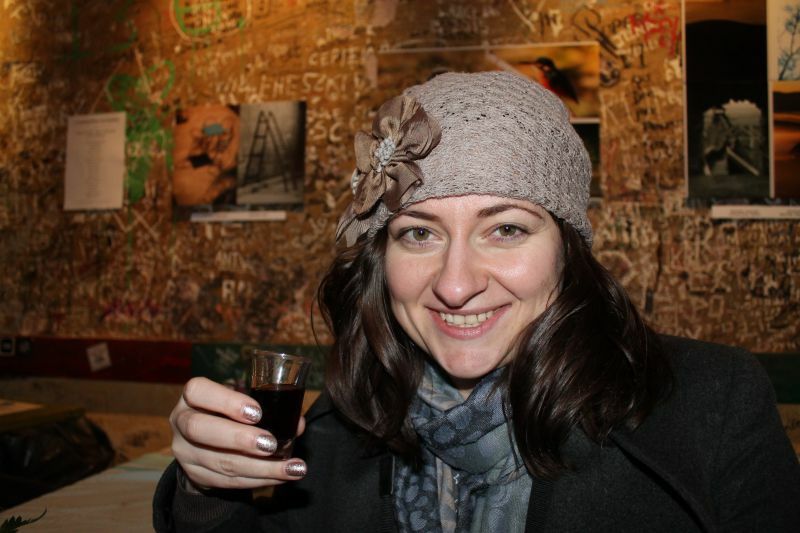 Advice: try a shot of Unicum in the ruin pub. It is a bitter liqueur, infused with herbs. It is unforgivable to visit Hungary and not to try its national drink! Location: a kind of a small town of ruins pubs is located in the Jewish quarter of Budapest. 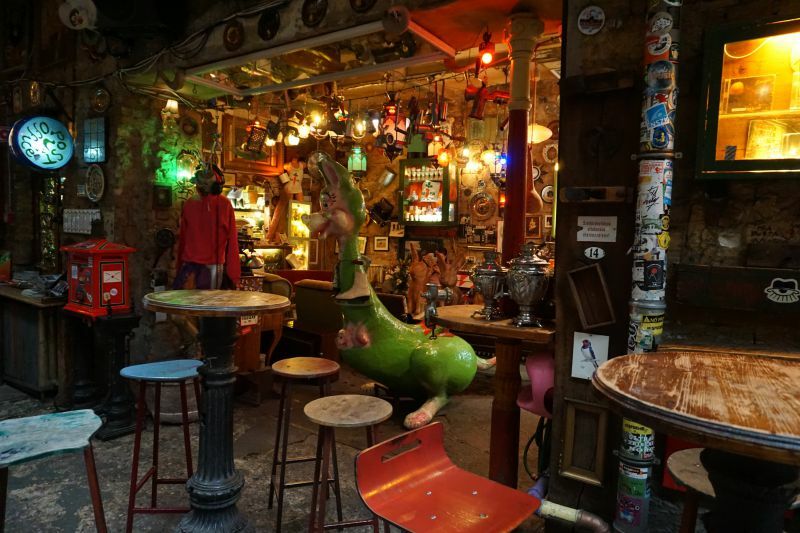 One of the most famous ruin pubs is Szimpla Kert. It is located on the Kazinczy ut. 14. Walking around a block, pay attention to the numerous murals on the walls. The nearest metro stops are Astoria and Blaha Lujza (line M2). The nearest trolleybus stop is Nagy Diófa utca (trolleybuses № 74, NT). The nearest bus stop is Uránia (buses № 5, 7, 8E, 108E, 110, 112, 133E, 178, 907, 908, 916, 931, 956, 973, 990). Separately, we decided to tell about the sights on the Danube. Mostly those are bridges and islands, but, without a doubt, they make up the fair share of beautiful places in Budapest. The Danube River has quite unusual and unique beaches within the limits of the Hungarian capital. The right bank, Buda, is quite high and hilly. But the left one, where Pest is located, is flat. 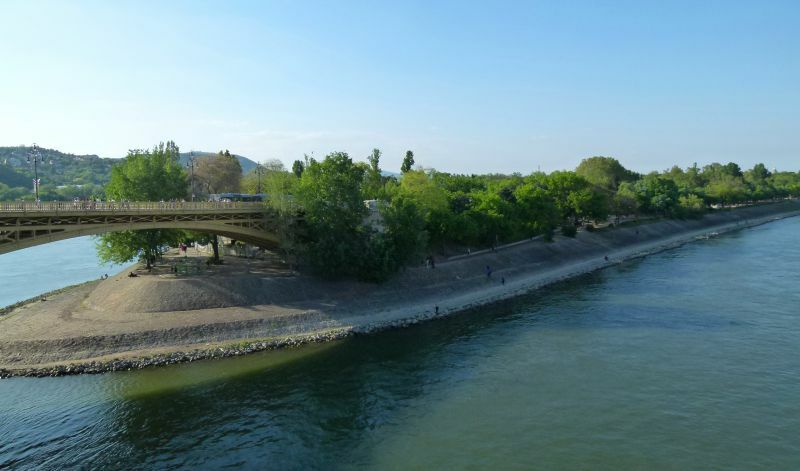 The Hungarians used this geographical feature of the river so successfully that in the end Budapest became one of the most beautiful capitals of Europe. The rich architecture of the city combined with the blue waters of the Danube create a unique panorama. The special charm of the capital is attached to the picturesque Danube islands, majestic bridges that united the Hungarian capital. 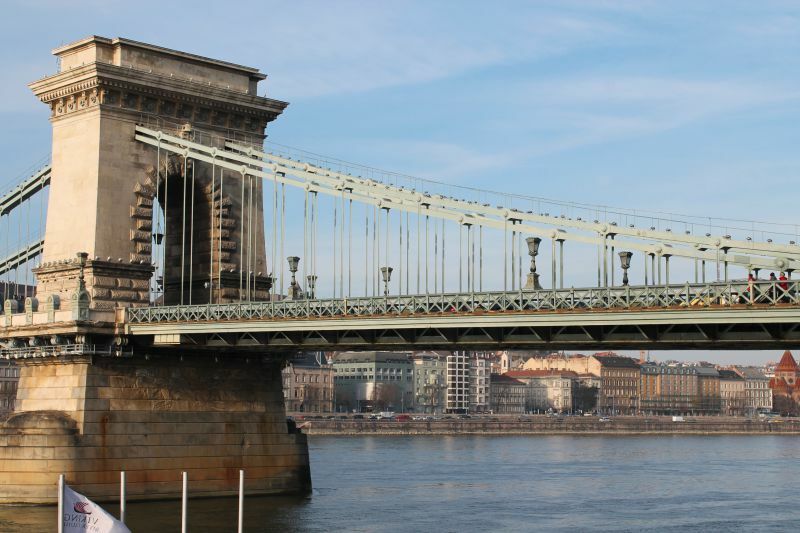 The most beautiful and oldest bridge in Budapest is the Széchenyi chain bridge. 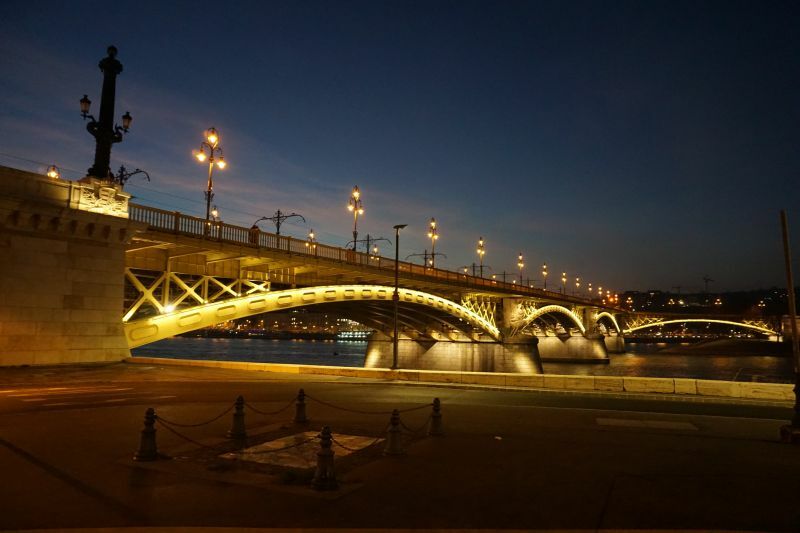 This is the first bridge that united Buda, Pest and Óbuda into a single Hungarian capital. The initiator of the idea of ​​construction was Count István Széchenyi. The opening of the bridge took place on November 20, 1849. The bridge is particularly beautiful at night – evening illuminations emphasize the entire charm of this creation. Right bank. Funicular and then the Buda Castle. Left bank. Széchenyi Square and further perpendicular to the river – along Zrínyi Street you will pass to the St Stephen's Basilica. 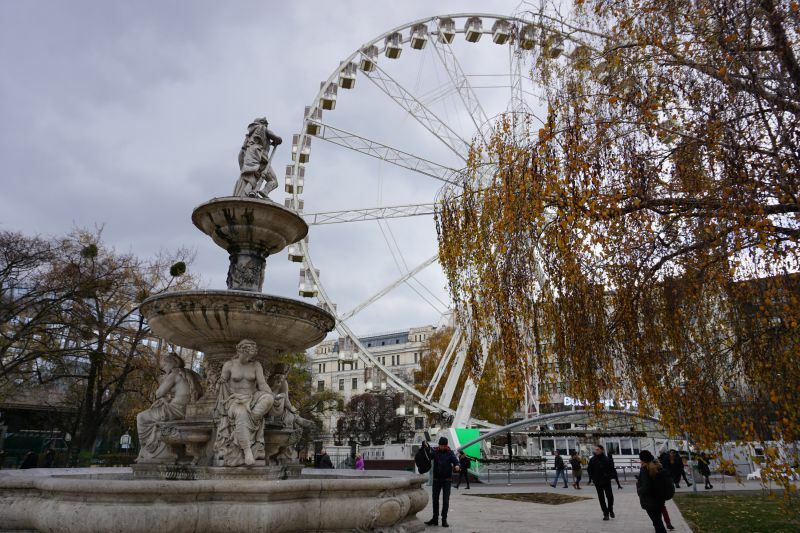 Nearby there is Elizabeth Square and Ferris wheel. The opening of the Liberty Bridge was timed to coincide with the significant date – the 1000th anniversary of Hungary's gaining statehood. Throughout history, the bridge changed its name several times, among them the name of the Emperor and King Franz Josef I. During the Second World War, the bridge was destroyed by Wehrmacht troops, and after the restoration in 1946, it received a new name – the Liberty Bridge. During the reconstruction, the surviving fragments of the bridge were used. The builders managed to reproduce the bridge almost in its original form. By the way, here we made some of the most beautiful evening shots. At night the bridge is incredibly beautiful! Right bank. Gellért Thermal Bath, Gellért Hill. 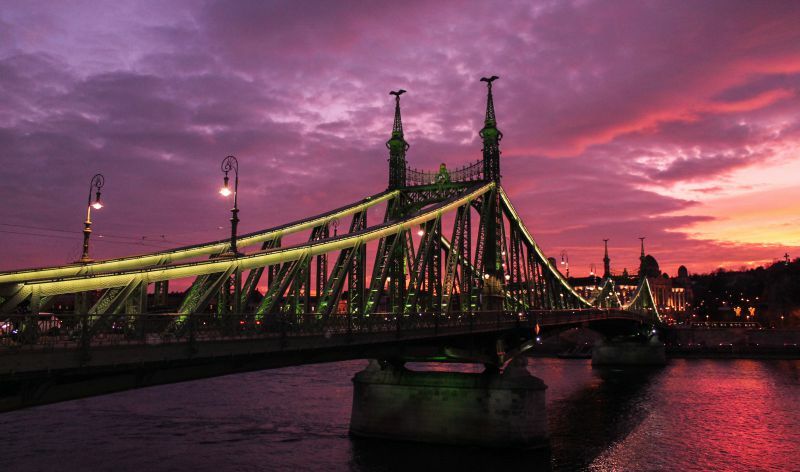 Margaret Bridge is one of the oldest bridges in Budapest. Approximately in the middle of the bridge there is a ramp to Margaret Island. The bridge is named after the daughter of King Béla IV. For the sake of saving Hungary from the invasion of the Tatar-Mongols, the king gave a vow to give his daughter to serve God. Her short life (28 years) Margaret spent on an island in the middle of the Danube in a monastery, she is buried in the same place. After a few hundred years she was cannonised. As a result, the island was given her name – Margaret. There is one of the best views on the building of the Hungarian Parliament from the Margaret Bridge, especially in the evening. Right bank. Victor Vasarely Museum. The Óbuda district starts here. Left bank. The building of the Hungarian Parliament. It is called many names: an island of peace and quiet among the European metropolis, a green oasis, a peaceful park, a paradise in the middle of the Danube and other forest epithets. And all of them are true. Margaret Island is loved both by locals and tourists. Here everyone will find entertainment for their taste – sports, excursions, entertainment, communication with nature and simply rest from the city bustle. The island has very well developed infrastructure – there are hotels, restaurants, all kinds of stalls with ice cream and drinks, bike rental, a summer thermal bath with a huge swimming pool. The city bus № 26 and 226 run to the island. The ruins of the monastery with the grave of St Margaret. Water tower with a viewing platform. 1. You can buy almost any excursions in hotels, information centers, special kiosks, travel agencies, the ticket offices of museums, galleries and bathhouses. About the guides. There are a lot of them in Budapest, but there are not many good ones. Together with Victor we were very lucky. 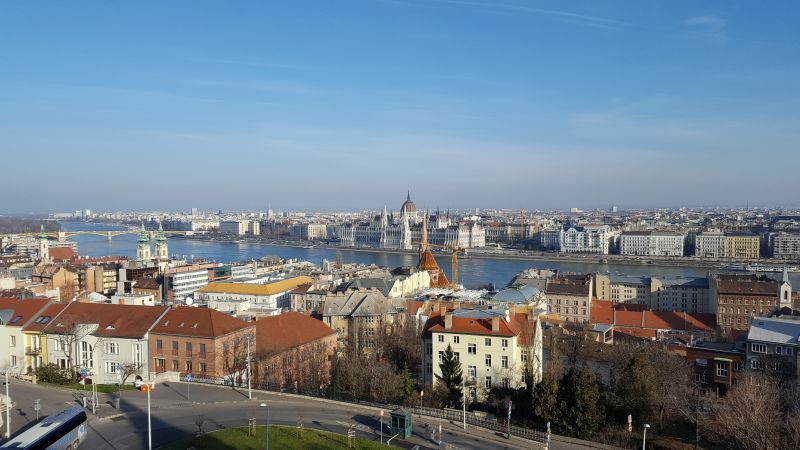 We have visited the Jewish Quarter; learned what is a ruin pub; tried the Hungarian "Unicum" and learned where you should buy souvenirs in Budapest, authentic and cheaper ones. Most of the material in this article was collected thanks to Victor's tips. 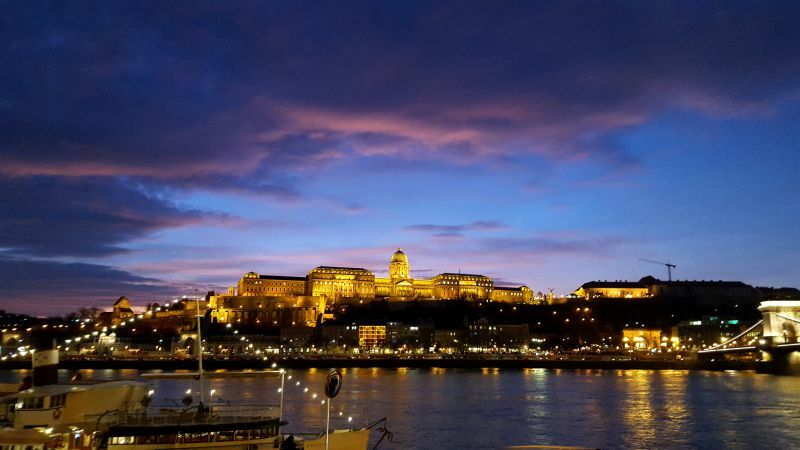 IGotoWorld thanks Viktor Vásárhelyi for interesting time; for the Budapest secrets, which he shared with us; for the enchanting sunset and views! Here you can contact Victor for excursions. 2. 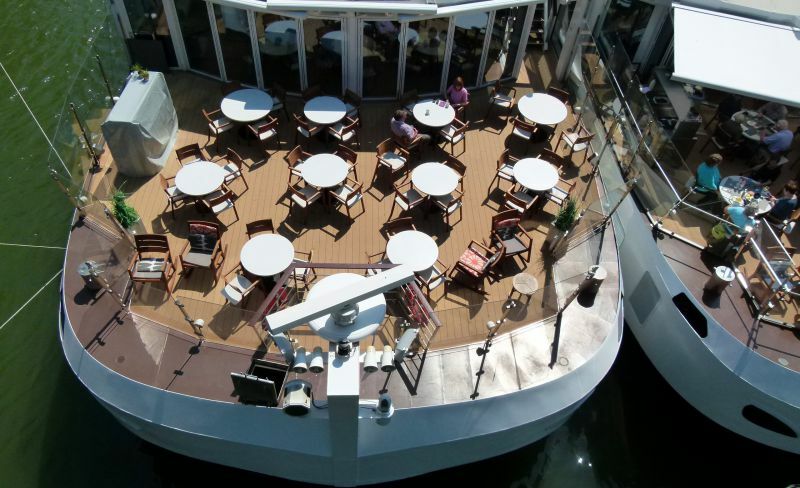 Cruises on the Danube should be booked in advance: by phone (+ 361-3171377, +361-3172754), on the website or by going to the office personally: Duna Palota – 5 Zrinyi ut, 1051 Budapest. Landmark – Chain Bridge and Széchenyi Square. 3. 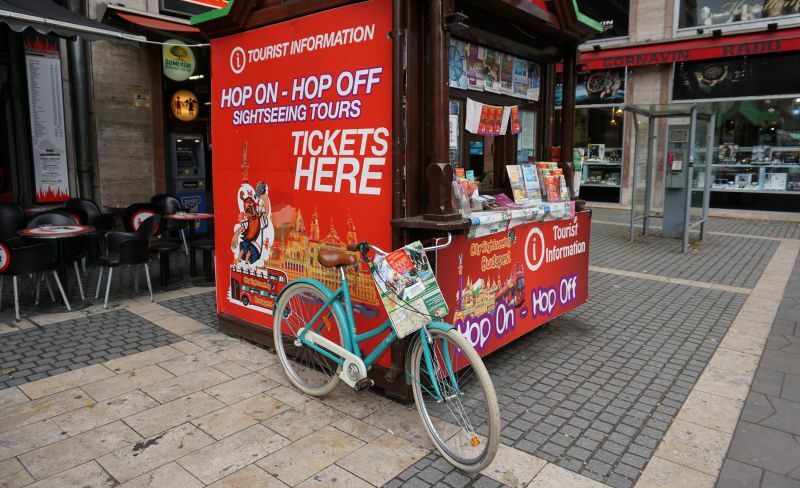 Hop on hop off ticket can be bought at bus stops, in stalls and tourist centers. 4. Tickets for the funicular can be purchased on site. 5. Public transport tickets – either in the bus itself (which will be a little more expensive), the metro station, or in a special terminal at the bus stop. You can buy the Single Day ticket and it will be profitable, if you plan to travel a lot – it is suitable for both metro and buses. You can also buy a tourist card, it gives free travel around the city, visits to many museums and thermal baths, as well as discounts for food and stuff. More information about the types of tickets for transport in Budapest and their cost is on the official website. One-time ticket – 350 forints. One-time ticket, purchased on the spot (in the bus itself) – 450 forints. Transfer from the airport (this is a special bus 100E, to the city center it takes about 50 minutes) – 900 forints (on this route, the travel cards do not work). One-time ticket in the metro – 250 forints. One-time ticket for river transport – 750 forints. A day pass (24 hours) – 1650 forints. Tourist card (24 hours) – 5500 forints (travel, museum entrance, baths, various discounts). There are a lot of options for housing in Budapest! Prices vary. The night in the hostel in the center of the city will cost from 6 euros. In the hotel with 3 stars: night from 30 euros for two. We have chosen the hotel Astoria. A cozy hotel in the city center. Next to a good traffic intersection. This is the left bank. You can choose a hotel or hostel in Budapest here. 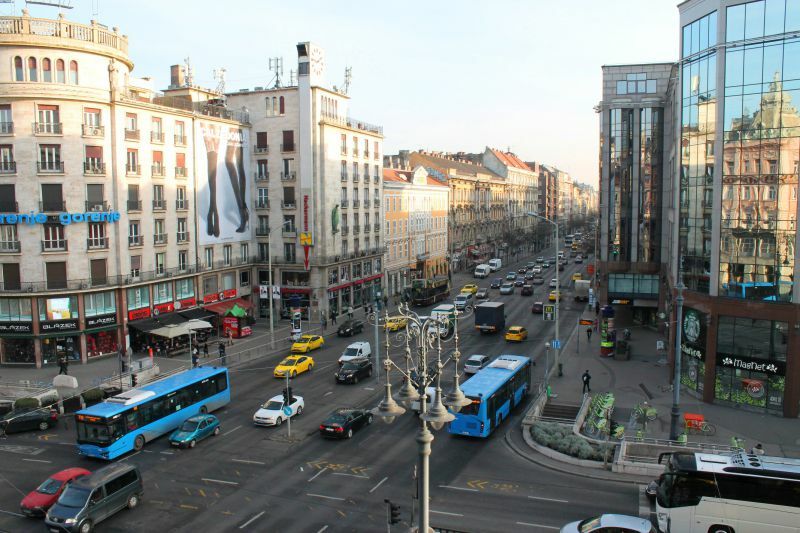 This is a view from the window of the Astoria Hotel in Budapest. 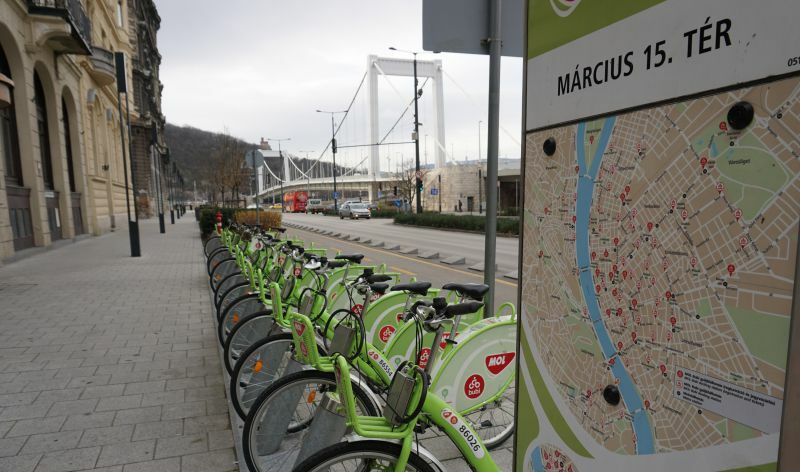 If we talk briefly about transport in Budapest, it is very convenient. Starting from the airport and to the city centre, everywhere there are signs, directions, timetables, ticket sales points, and people are sympathetic and always ready to help you out. We are sure that the abundance of different sights of Budapest will give you an unforgettable vacation! Photos in the article: Tetiana Smirnova, Oleksandr Safronov.